On retirement claiming for all of the state pensions and benefits that you are entitled to should be a priority. You may have a monthly income from a personal pension but you will no doubt also be entitled to a state pension based on National Insurance contributions throughout your working life. But remember, you should claim for your state pension when you reach state pension age. In Britain the state pension age for women is increasing from 60 to 65; this began in 2010, for men the pension age is 65. The pension age is going to be increased for both men and women in the future, by 2020 the pension age for both men and women will be 66. If you or your spouse have paid or been credited with National Insurance contributions and reached state pension age then you should be eligible. The entitlement to a basic state pension is formulated on the number of qualifying years that National Insurance contributions have been made. The number of years will vary depending on the date you were born, but for men it is usually 49 years and for women born after 1954 it is also 49 years. 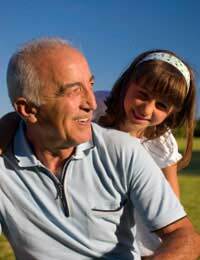 State Second Pension – an additional pension available to those with a low income. Graduated Retirement Benefit – this is based on National Insurance Contributions paid between 1961 and 1975. Increased State Pension for Dependants – may apply if you have children or are responsible for children but can also take the form of child tax credits. Additional Age Pension – paid to anyone over the age of 80. When you apply for your state pension make sure you put down all information relating to your circumstances. This is the only way that state pensions and benefits can be worked out and applied if you are eligible. A long term, incapacity benefit age additional pension will be added to your state pension if you were receiving this benefit at least eight weeks prior to reaching retirement age. This benefit may be reduced if you are in receipt of any type of additional pension. Compared to a regular salary the basic state pension will not seem like much. This is why it is so important to have some form of personal pension plan in place for your retirement years. As a guide, the basic state pension based on personal national insurance contributions will be around £87.30 per week. A non contributory pension for someone over the age of 80 will be £52.30, which is the same as a woman’s pension that is based on her husband’s national insurance contributions. The pension service should send you an invitation to claim your state pension around four months before you reach pension age. Questions will be asked about your background and some form of identity confirmation will be required. There are many other state benefits that can be claimed once you reach state pension age. If you are eligible these can include a Christmas Bonus, winter fuel payments, cold weather payments and pension credit. You can get full details and information on eligibility for these extra benefits from the Department for Work and Pensions. State pensions and benefits are an important way to top up any personal pension you may have. But for many retired people it will be the only income they have during their retirement years. Claiming all of the state pensions and benefits you are entitled to could mean the difference between financially struggling through retirement, and making the most of your hard earned retirement years.